Proper Boost Management is always a crucial aspect of a well functioning turbo system. Although increasing boost may be one of the most exciting things we can do to our high performance engines, struggling to maintain or control it can create potentially damaging running conditions. Entering 2013, Turbosmart has expanded their line of Internal Wastegate (IWG) Actuators with ‘bolt-on’, easy installation in mind. As high performance turbocharged vehicles become evermore popular within the new car market, aftermarket bolt-on upgrades are increasingly more practical as the vehicles are much more receptive to modifications. Bucking the standard of deleting significant amounts of factory components in favor of ‘ill-fitting’ turbo kits or accessories, Turbosmart aimed to keep things simple. With the help of precisely engineered designs, owners have regained the ability to perform DIY modifications that result in significant enhancement of their vehicle’s performance. The IWG Actuator Series are designed as 100% drop in replacements for their factory counterparts and simply do not require special tools or fabrication to install. These upgraded units provide better turbo response and greater sensitivity when managing boost pressures. 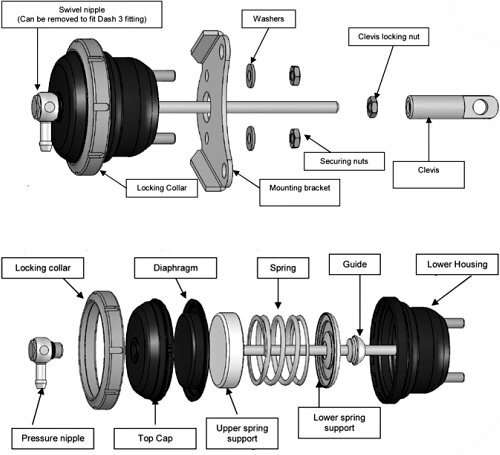 Featuring a unique locking collar cap, these wastegate actuators provide you with the opportunity to choose from a variety of spring choices. Installation is a stress free operation. Owners can appreciate the convenience of quickly dialing in boost pressure while on the dyno or before a track event without dropping their car off at a shop. Available for many applications such as the Mitsubishi Evolution, Subaru STi, & Mazdaspeed vehicles, new models are already in development. Be sure to check back for the newest releases of Turbosmart products for 2013! Turbosmart IWG Actuators provide better turbo response and greater sensitivity when managing boost pressures. Wondering if a IWG Actuator is available for your vehicle’s factory turbo? Check the Turbosmart site for the full list of the current IWG models. If you don’t see your application listed don’t worry. 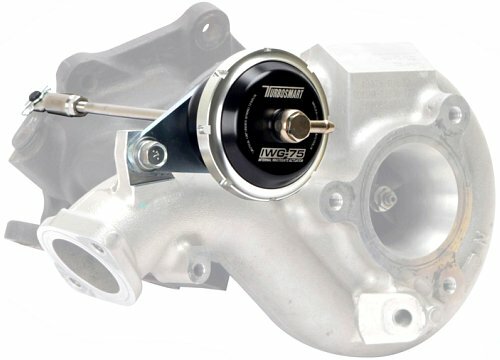 Turbosmart also offers a Universal IWG model which is suitable for most factory or aftermarket turbos with an internal wastegate. Generally only requiring a small modification to the bracket or clevis, the IWG Universal is ideal for custom applications that require ‘better than stock’ boost management.